While many Greenpointers find it difficult to cheer constant “luxury” real estate development in the neighborhood, the situation may yield one perk: the housing lottery. The newest spot with apts on offer is 977 Manhattan Avenue, between India and Huron. 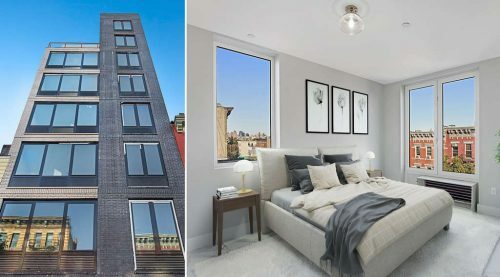 The entire 14-unit building is going for a cool $14.25 Million, but New Yorkers earning 60% of the area median income can apply for 3 1-bedroom apartments, each asking $1,020/month, including utilities. The environmentally conscious among us might be excited to know that the building is Green Certified, and sports energy-efficient elements, including solar panels. Other perks include a bike room, central air, and in-ceiling speakers. Jonesing for a spot in this groovy abode? Applications for the building’s affordable units will be accepted until Thursday, April 26th, 2018. If you live here already, take heart! Half of the affordable units will be set aside for residents of Brooklyn Community Board 1. You can find full details on how to apply here!